SB 1142 went before the Senate Judiciary Committee this afternoon. It was nice to have support from the media. Fox & Hounds provides the first piece and the OC Register, LA Daily News, and Press-Enterprise weigh in with a kind editorial in the second piece. Regretfully, the bill was voted down by party line, 2-4, with Senator Hertzberg abstaining. Yesterday, SB 269, a bill that I co-authored to address some ADA abuse, passed on the Senate Floor by a 38-0 vote. It goes to the Governor’s desk and must be signed within 12 days, as it was approved as an urgency bill. SB 269 is a fine bill, but it is a watered down solution to this lawsuit abuse dilemma. Everyone on the Committee agreed that there was a problem. But, they also believed that previous legislation should have addressed the rogue law firms that file these ADA lawsuits (see MOORLACH UPDATE — SB 1142 and SB 1273 — April 16, 2016 april 16, 2016 john moorlach). I want to thank my two key witnesses, Rachelle Golden, an attorney from the city of Fresno, and Martha Perez, a restaurant owner from the city of Jackson. If you get a chance to see the bill presentation, you will find that they were amazing. It’s been a long time coming with much damage done to small business owners but legislators seem to be zeroing in on corrective measures to give business owners a chance to meet the requirements of the Americans with Disabilities Act (ADA) without facing destructive lawsuits. I remember an article posted on this page in 2014 declaring hope that help may be on the way for small businesses that are often victimized by lawsuits for minor infractions of the Americans with Disabilities Act. Republican Assemblywoman Kristin Olsen and Democratic Assemblyman Adam Gray filed the bills. The authors signed onto each other’s bills. That hope expressed in 2014 may finally arrive and although well past time, would be welcomed by the small business community. Recently, the San Jose Mercury News ran a story under the headline: “Serial ADA Lawsuit Filer Striking Bay Area.” The article reported that attorney Scott Johnson had filed thousands of ADA lawsuits in Northern California, which brought in millions of dollars in settlement and attorney’s fees. That type of story is a familiar one to small businesses victimized in Southern California, as well. A little over a decade ago a Beverly Hills law firm, The Trevor Law Group, was accused of extortion by threatening to sue thousands of businesses for violating provisions of the Business and Professions Code. Finally, the state bar recommended that members of the firm be disbarred. Most small business owners are willing to fix any problems if given the opportunity. Looking over their shoulders at every customer or attorney who sees a pot of gold at the end of the regulation rainbow should not be a worry when the small businessperson is trying to fairly conduct their business. It is good to see Democratic and Republican lawmakers coming together to offer a solution to this small business angst. Let’s hope reforms get to the governor’s desk and he signs them. The Americans with Disabilities Act, adopted in 1990, was intended to prohibit discrimination against those with physical or mental impairments and improve access for the disabled to public accommodations. Too often, however, it has been used to shake down businesses for minor violations — a sign affixed an inch too high or too low on a door, for example, or a disabled parking logo that is a little too faded or painted in the wrong shade of blue. California is a particular magnet for frivolous ADA litigation, thanks to state law which mandates a minimum $4,000 penalty for each violation — no matter how small — plus the plaintiff’s attorney fees. The state is home to about 12 percent of the country’s disabled population, but accounts for a whopping 40 percent of ADA lawsuits nationwide. 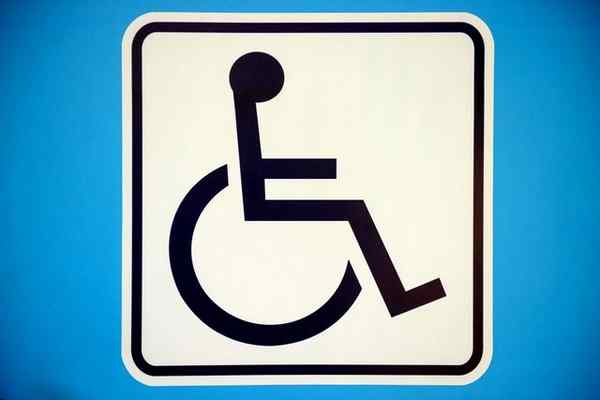 Its disability access lawsuits were one of the main reasons the American Tort Reform Foundation once again named California the No. 1 “Judicial Hellhole” in the nation last year. Several legislative proposals would reform the system simply by requiring the aggrieved party to submit their complaints about alleged ADA violations to business owners in writing, and then allowing businesses a reasonable amount of time, usually 90 or 120 days, to fix any problems before civil litigation could be filed. Such federal bills include H.R. 241, the ACCESS Act of 2015, from Rep. Ken Calvert, R-Corona, and H.R. 4719, the COMPLI Act, from Rep. Jerry McNerney, D-Stockton. At the state level, Senate Bill 1142 has been introduced by Sen. John Moorlach, R-Costa Mesa, and Sen. Richard Roth, D-Riverside, has proposed SB 269. Both bills have been named among the California Chamber of Commerce’s 12 “job creator” bills. Sen. Roth’s similar SB 251 sailed through the Legislature last year by votes of 40-0 in the Senate and 70-6 in the Assembly, but it was vetoed by Gov. Jerry Brown, who claimed a provision offering businesses a tax credit to encourage proactive compliance fixes was too costly. That provision has been removed from SB 269. Nitpicky standards about whether a sink or a mirror is a fraction of an inch off or an “outdated” sign is the wrong shape or color go well beyond the original intentions of the ADA. Just ask the San Ramon gas station owner who was forced to install a shield under a bathroom sink to prevent burns to the legs of someone in a wheelchair — even though the bathroom does not have hot water. These regulations cost business owners tens of thousands of dollars for minor repairs, killing jobs and entire businesses in the process. Legislators should explore eliminating some of the most restrictive regulations, particularly those that do not actually affect accessibility, and grandfathering in those who complied with older versions of the law, so that businesses do not fall prey to what amounts to extortion based on ever-changing building codes and other regulations. In the meantime, it is only fair that businesses are afforded the opportunity to correct violations, which will dissuade frivolous lawsuits while encouraging corrections for legitimate claims.